Heffron Drive is an American indie pop band formed by Kendall Schmidt (known from a boyband Big Time Rush) and Dustin Belt. 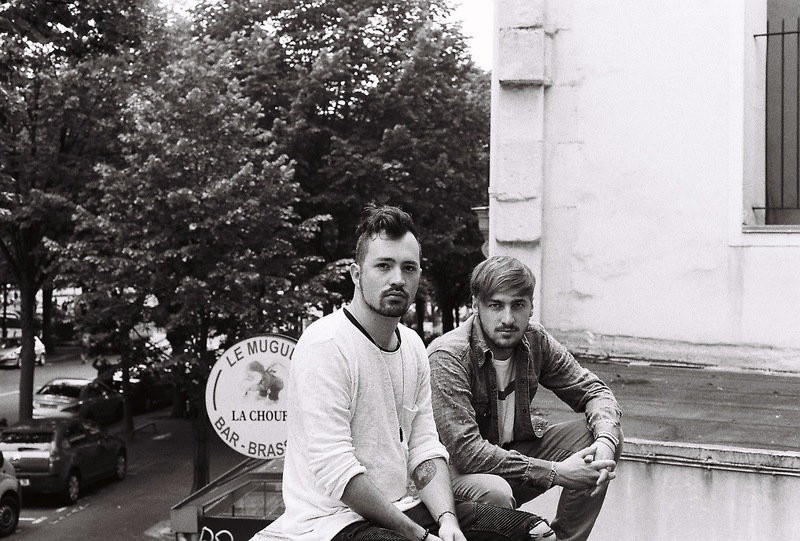 In 2014 Kendall and Dustin released their debut full-length album "Happy Mistakes" and now they are starting the next chapter of their musical journey. They just released their second extended play and are now promoting it in Europe. In the interview, Heffron Drive is talking about their new recording, European tour and upcoming musical plans. Your new extended play called "The Slow Motion" came out on 10 February 2017 and it is promoted by a single "Living Room". Can we expect some differences in your style, new instruments or sounds? "The Slow Motion EP" in many ways is a new sound for us, but in many ways it’s not. We approached this record differently than any others that we’ve done, in the sense that nearly everything you hear is a real instrument. We brought in our touring band - AJ Novak on drums and Christian Vieira on bass - and they helped us knock these songs out of the park. "The Slow Motion EP" is also very similar to our previous sound in the sense that you will find that we keep pushing ourselves to write the best songs we can, and I think you will hear that in the musicality and lyrical content. Everything on this record sounds exactly like what you would expect to hear from Heffron Drive. "Living Room" is a song about the ups and downs in a relationship and shows that most of them actually happen in... the living room. How did you come up with the idea for this song and what are your memories from recording a music video for it? Dustin Belt: Kendall came up with the idea, ironically in his living room, and I jumped in on the song after he showed me the rough idea. The song isn't biographical per se, but we did incorporate elements of relationships that we had been in into the song. The video was directed by our good friend Wesley Quinn, who really came in and shared a vision with us about the video. We shot it over two days on a weekend in Los Angeles. We shot from around 8am to 10pm at night both days, and shot as much footage as we could. You’ll notice in the video that the framing changes on some shots. That’s because we shot part of the video on a vintage Super 8mm camera. That footage turned out so incredible and really added to the heart of the video. As a band, you travelled all around the world and are now coming to Europe as a part of Heffron Drive International 2017 Tour. What is your beloved place to visit in Europe? Is there a chance for your concert in Poland in the foreseeable future? Europe is a fairly new market for us, so we are really excited to come and perform over there. We get messages all the time on social media asking us to come and play different cities, so we are stoked to get to see some of these places and finally show them some HD love. We’d love to come to Poland! Let’s make it happen in 2017! Apart from being a talented singer and actor, you are also a very good photographer. Ten weeks ago you created Instagram account with your original photographs, but it is now a bit "abandoned". Would you like to develop your skills and revive this photographic account? Kendall Schmidt: I am actually releasing some merchandise featuring these photos! I am still taking them but because I am on tour I don’t have good enough reception to upload them they are very high resolution! More than two million people follow you on Facebook and more than a million on Instagram. Is it difficult for you to be observed by so many and not become overwhelmed by fame? Kendall Schmidt: I feel grateful more than overwhelmed. I like when people recognize me when I am out living my life, I stay grateful for what my fans have given me and the opportunity I have! I guess that your new EP "The Slow Motion" is something like "the first taste" of your upcoming longplay. What are your next steps as a band and are you planning to release a full-length album soon? Dustin Belt: We have a lot of work to do this year! We are planning on releasing a full length record sometime later this year. We don't have a date, and we’re still working on music, but we’re thinking sometime in the summer. Because Heffron Drive is just Kendall & I, there is an IMMENSE amount of work that has to be done before something gets released. But honestly, we love it. And I think we would both agree that we wouldn't have it any other way. As soon as we finish the European tour, we go straight back to the studio, put our heads down and focus on all new material. It’s going to be a great year for us. Thank you very much for the interview.